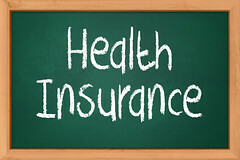 Recently, Spring Insurance CEO George Gonser hosted a webinar that goes over some of the most recent employee benefit and health insurance changes in the United States that employers need to know about. The program covers some of the new fees and deadline changes related to the Affordable Care Act (ACA). The employer update is in the first half of the webinar, while the second half includes a brief overview of the Spring Cooperative, our group health insurance buying program for Massachusetts small employers.